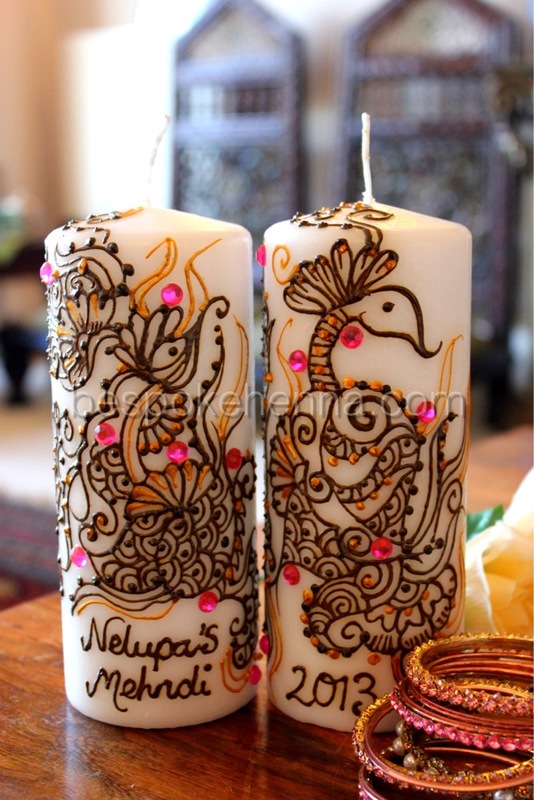 Set of two large wax candles hand painted with henna and personalised with names or messages of your choice. 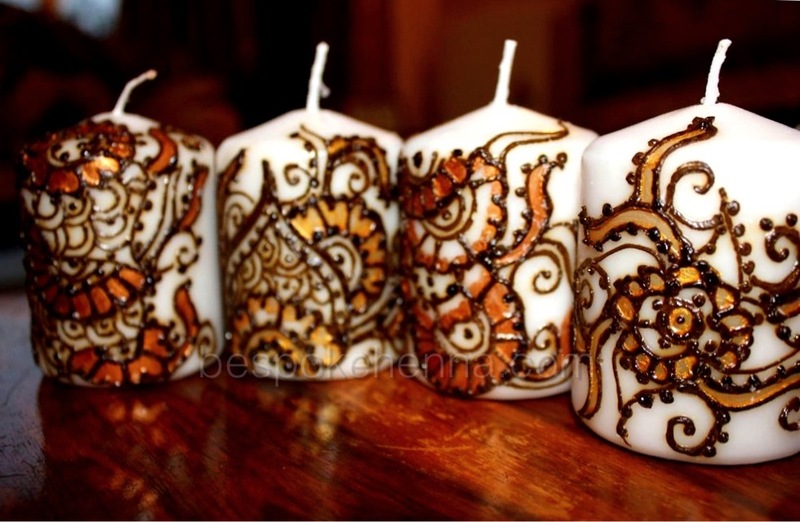 Finished with coloured acrylics. 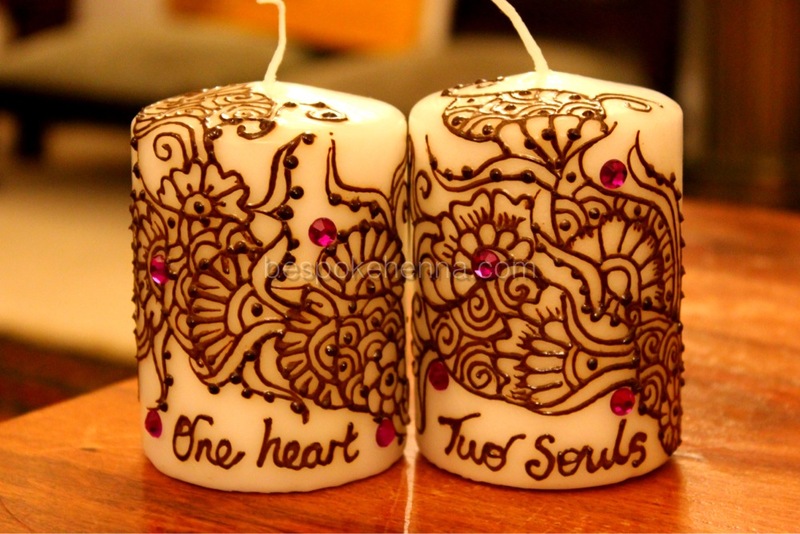 Set of 2 wax candles hand painted with natural henna and personalised with names or messages of your choice. 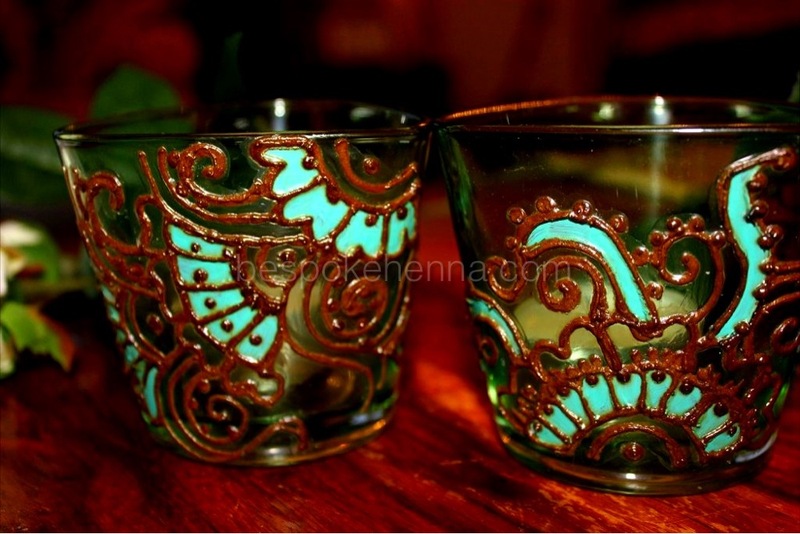 Finished with coloured rhinestones. 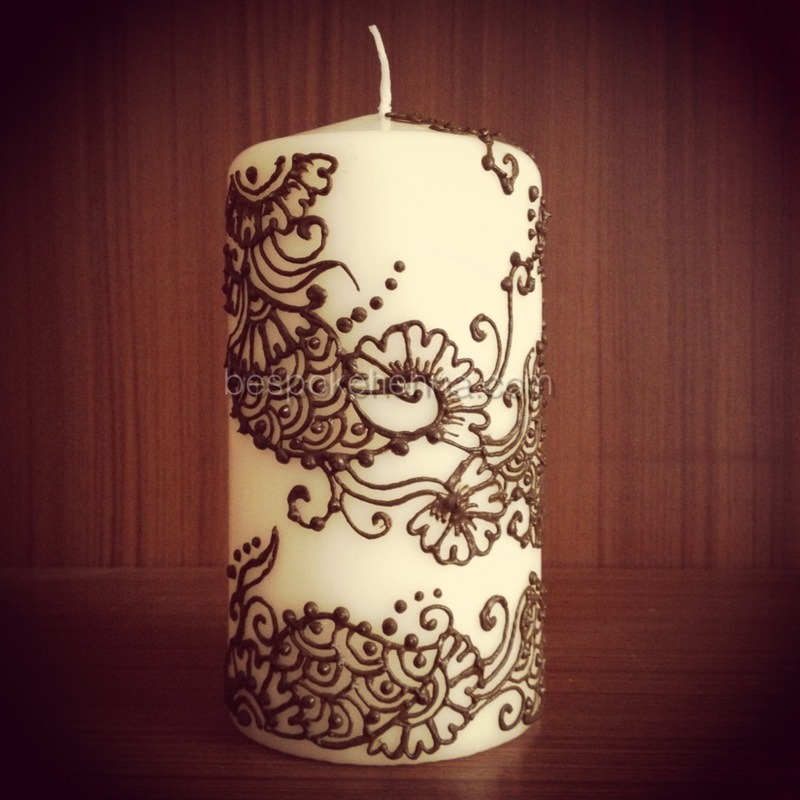 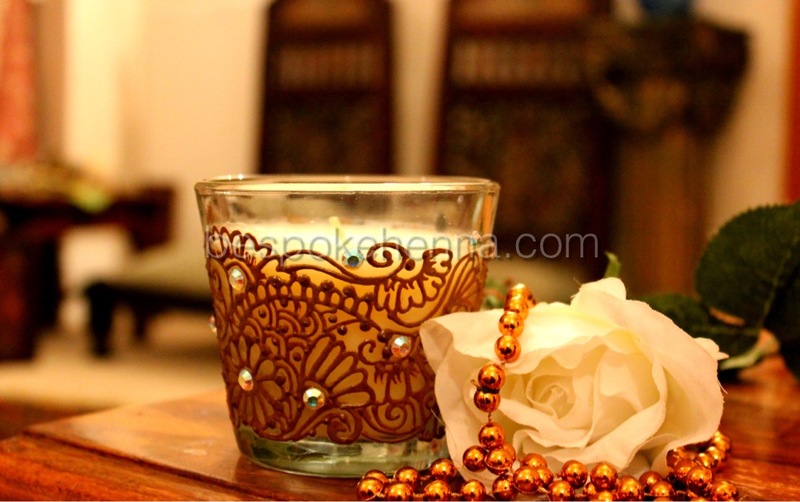 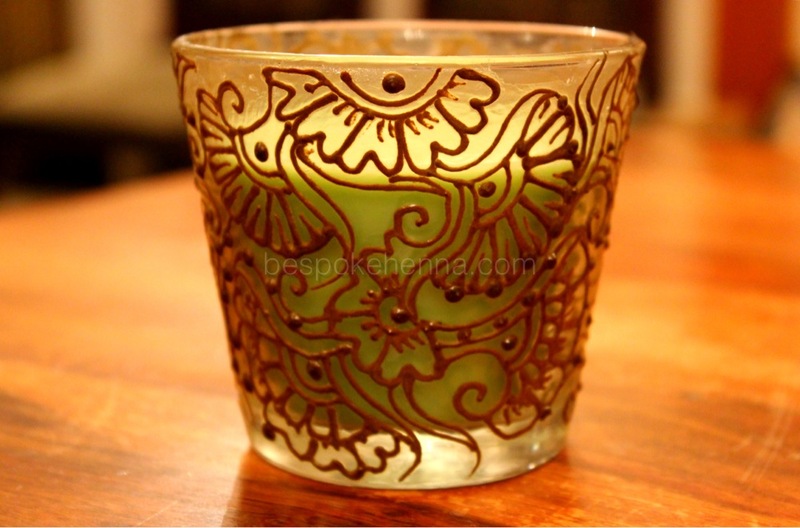 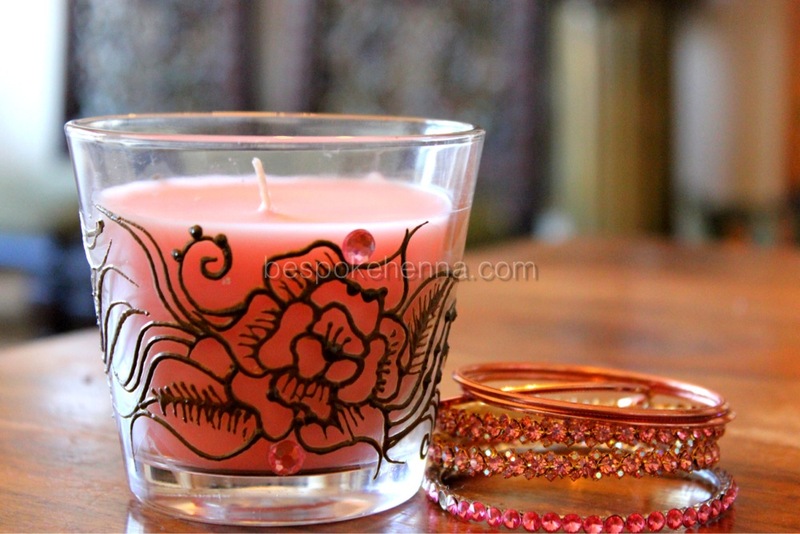 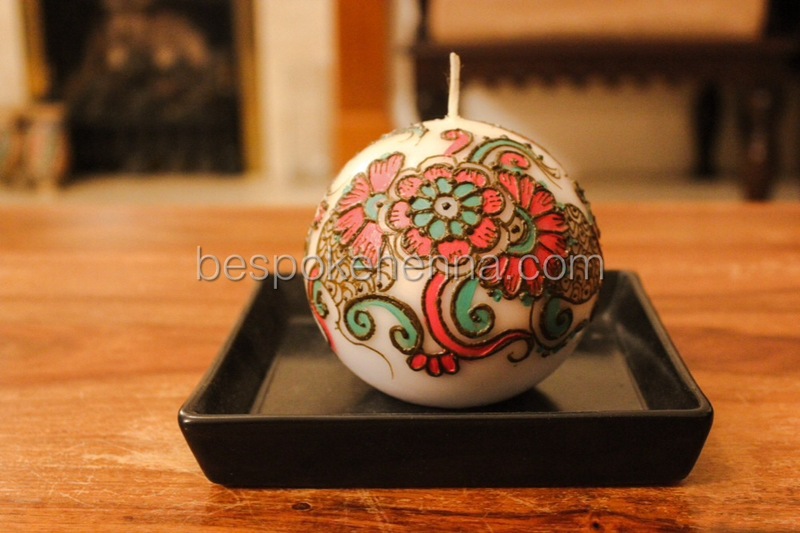 Small vanilla scented glass tea light candle hand painted with natural henna and finished with crystal embellishments.